Sept. 15, 2014, 11 a.m.
Maybe it’s just a new iteration on the advertorials newspapers and magazines have run for decades. Maybe it’s a scurrilous devaluation of journalism. Either way, it’s here, and at the highest levels of the business. 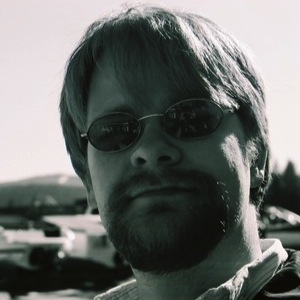 By Joshua Benton @jbenton Sept. 15, 2014, 11 a.m.
Editor’s note: The new issue of our sister publication Nieman Reports is out and ready for you to read. I write a column for the print edition of the magazine. Here’s mine from the new issue. That was David Ogilvy, the Mad Men-era advertising wizard, in Confessions of an Advertising Man, 1963. When we look back on 2014 in the news business, we may think of it as the year that Ogilvy’s maxim went mainstream, accepted in the world’s top newsrooms. In January, NYTimes.com ran its ﬁrst piece of what’s come to be called native advertising. It had “The New York Times” blazed across the top of the page, and it had a lot of the visual DNA of a Times article — a headline about millennials in the workplace, about 700 words of copy, and even the honoriﬁc Mr. and Ms. of Times style. If you’re like many journalists, the last few paragraphs have made you feel a little unclean. The separation of editorial content and advertising was drilled into most of our heads at a young age — that ﬁrst journalism school class, that ﬁrst crusty night city editor. The credibility of the news, forever challenged, would seem to be deeply wounded if something that looks like an article is up for sale. And yet it’s hard to ﬁnd a major news company that isn’t looking to native as an important part of their business strategy in 2014. Like it or not, native advertising is here to stay — no longer reserved for digital natives (Gawker, BuzzFeed, Quartz) and a few traditional outlets with an edgier digital presence (Forbes, The Atlantic). And, as David Ogilvy foretold, there hasn’t been much sign of public resentment, much less a public revolt. There have been a few PR missteps — The Atlantic’s sponsored puff piece about the Church of Scientology last year comes to mind — but thousands of other native ads have been published to a collective audience yawn. Is it possible that what readers care about and what journalists care about aren’t always the same thing? Wouldn’t be the ﬁrst time. Publishers also love native advertising because it plays to their strengths. Before the web, a newspaper could sell businesses on an amorphous idea of its “audience” and the idea that putting ads near stories would somehow, fuzzily, equal impact. And even today, most news organizations have only the broadest idea of what makes one online reader different from another. But the kings of online advertising — Google, Facebook — are swimming in user data. Google knows what you’re searching for, what you’re emailing about, where you’re looking for directions — even what products you almost-but-not-quite bought online. Facebook knows who your friends are, where you went to school, whether you’re single, what brands you like. All that data means they can target ads at you far more effectively than a newspaper website that doesn’t know much more than the fact you’re interested in news about Kansas City. The war of user data is a war that news companies have lost. Print advertising continues its steady decline, but for most news companies, online advertising growth isn’t doing much to help the bottom line — the new money goes to the digital giants, not the local daily. So native advertising — which is fundamentally about brands, both the news organization’s and the advertiser’s — is seen as a place where publishers can still have something to offer. For Dell, attaching its name and content to The New York Times is something that’s hard for a social network to match. For GE, sponsored content on sites like Quartz and The Economist attaches a vague innovation-friendly feeling to its brand. For the National Retail Federation, which has bought space for what sort of looks like an op-ed on Politico, native gives direct entrée to an audience of Hill staffers and political movers. Why is it called “native” advertising anyway? It’s meant to embody the idea that, on any given environment, a piece of advertising will be more effective if it feels native to that platform. An ad on Twitter should look like a tweet. An ad on Facebook should look like a Facebook update. An ad on a Google search should look like a search result. At one level, that makes sense if you’re trying to make ads effective. At another, it’s essentially the opposite of the church-state wall many of us were taught. But whether you like it or not, native advertising is now inside the big news tent. Maybe it’s just a new iteration on the advertorials newspapers and magazines have run for decades. Maybe it’s a scurrilous devaluation of journalism. Either way, it’s here, and at the highest levels of the business. What journalists can do is push for clear labeling, shame those who fall short, and hope that the business sides of their outlets won’t turn their brands into a non-renewable resource. 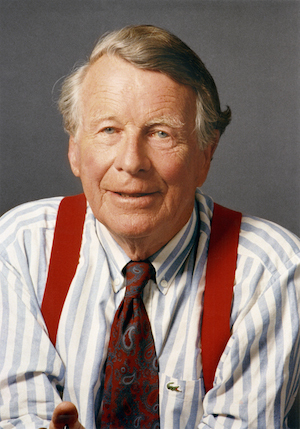 Photo of David Ogilvy courtesy Ogilvy & Mather. POSTED Sept. 15, 2014, 11 a.m.
Benton, Joshua. "Like it or not, native advertising is squarely inside the big news tent." Nieman Journalism Lab. 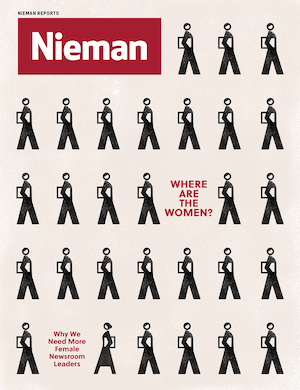 Nieman Foundation for Journalism at Harvard, 15 Sep. 2014. Web. 20 Apr. 2019. Benton, Joshua. "Like it or not, native advertising is squarely inside the big news tent." Nieman Journalism Lab. Last modified September 15, 2014. Accessed April 20, 2019. https://www.niemanlab.org/2014/09/like-it-or-not-native-advertising-is-squarely-inside-the-big-news-tent/.